The My LeMieux Base Layer is matching heaven! Designed to co-ordinate with the LeMieux collection of hat silks, saddle pads, polo bandages and fly hoods in some of the most popular LeMieux colours. This classic base layer is designed for active riders keep you warm and comfortable all year round due to the sweat-wicking thermal fabric. Made from a silky smooth anti-microbial material that offers a stylish tailored fit. with ultra soft flat-lock seams to reduce chafing and unwanted pressure points. The 360° stretch fabrication allows greater mobility in any direction making this the perfect garment for riding and competing. The unique Moisture-Movement System of this LeMieux Base Layer actively takes sweat away from the skin helping to regulate body temperature and ensure optimum comfort. 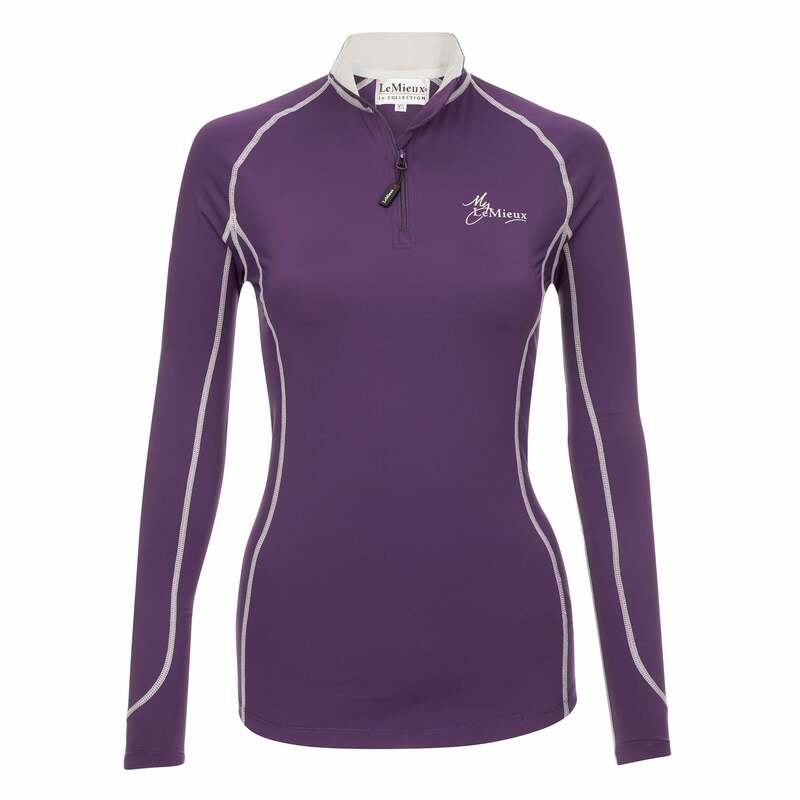 Perfect as a base layer or sports top.